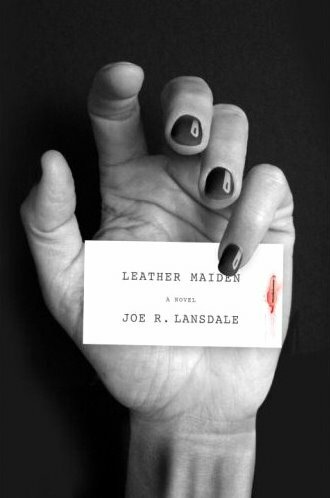 But crime novels didn’t shed all of their cleverness and captivation with the shift away from painted covers and toward photographic ones in the late 1960s. Typographical innovations, graphics-editing programs, and advances in printing technology give today’s designers tools that their forerunners of 50 years ago didn’t have. Those tools alone cannot turn mediocre concepts into brilliant ones, and they don’t alter the fundamental value of these jackets. 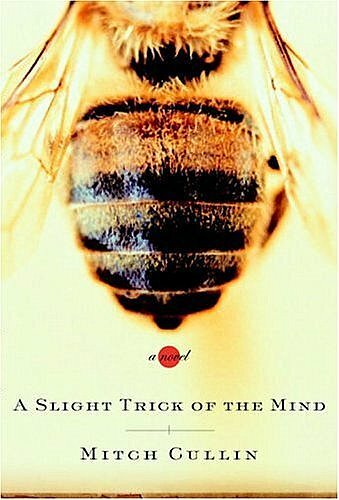 As Peter Mendelsund, the associate art director for publisher Alfred A. Knopf, puts it: “Our job is still to take a book you would read anyway, and make it look attractive enough that you won’t be embarrassed to be seen enjoying it on a subway.” However, with the right mix of creative knack, eye for commercial appeal, and talent for pushing extraordinary ideas past dubious marketing departments, designers can still deliver eye-catching covers. Two of the 11 covers I mention in that piece are shown below. 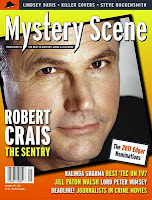 Also worth reading in this latest edition of Mystery Scene are Kevin Burton Smith’s profile of Robert Crais; Art Taylor’s look back at the way journalists have been portrayed in crime films; Part I of Lawrence Block’s recollections of Evan Hunter/Ed McBain; former Mystery News editor Lynn Kaczmarek’s profile of author Jill Paton Walsh; and a second Smith submission, declaring that Kalinda Sharma of CBS-TV’s The Good Wife is “the best private eye on the tube these days. And in a long time.” I won’t argue with that. 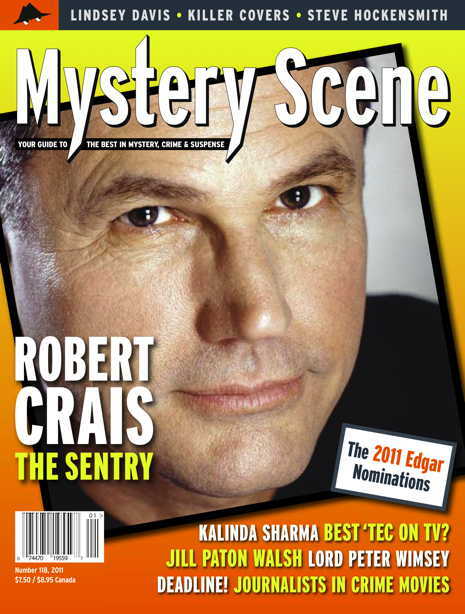 If you’d like to procure a copy of this issue, pay a visit to your local newsstand, or order one through the Mystery Scene Web site. I look forward to a continuing relationship with Mystery Scene.